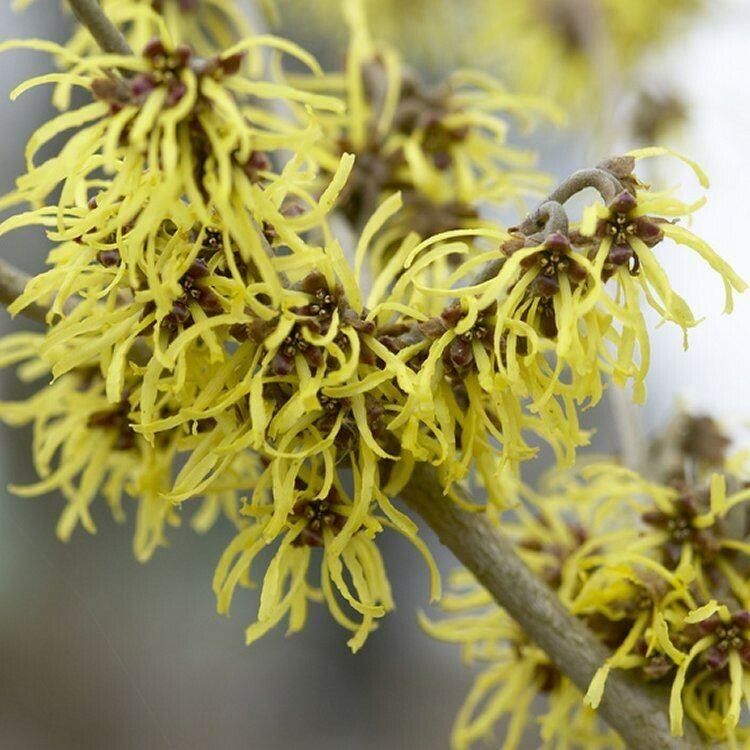 This highly fragranced Witch Hazel is a hybrid between the Japanese Witch Hazel (Hamamelis japonica) and a Chinese Witch Hazel (Hamamelis mollis). 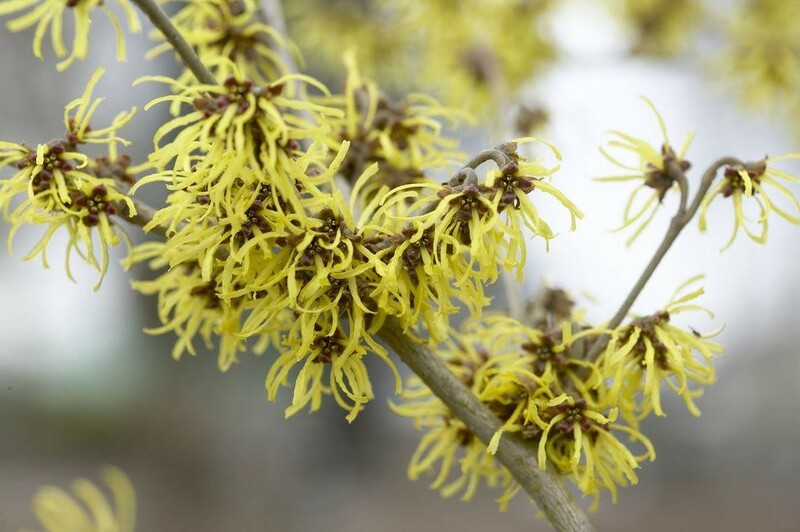 Over time this plant will form a medium to large sized shrub, and like all Witch Hazels, it is prized for the display of long lasting, unusual spidery flowers that appear in mid-late winter on the bare branches. 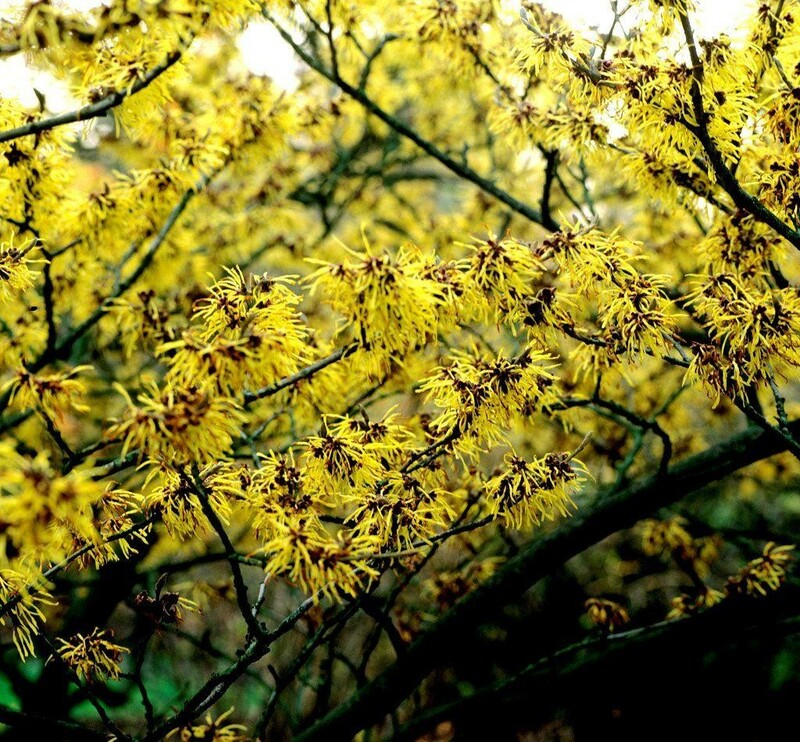 The ribbon like flower petals appear in clusters along the stems and are a bright yellow in colour. Large strong plants supplied in approx 5 litre containers.